Obstructing an ambulance is a form of violence against health care services. Ambulances – whether belonging to government emergency services, hospitals or humanitarian organizations – have the ‘Right of Way’ on roads. This public pledge campaign is supported by the ICRC in a nationwide initiative to help implement road rights for ambulances and foster respect of the Pakistani public for health care services as a whole. It is our social obligation to give way to ambulances and other emergency vehicles. ICRC took this initiative to remind all of us to remember our obligation towards others right and make a pledge to give a way to ambulance always. Pehlay Zindagi is a nationwide public awareness campaign on the road rights of ambulances in Pakistan. Anyone can become a member of this online community by taking a pledge to give way to ambulance. But do remember to give way to all emergency vehicles including fire brigade, police, etc. We look forward to your support to the cause and support. Did you like the post? Let’s get connected on Facebook, LinkedIn, Twitter & YouTube. 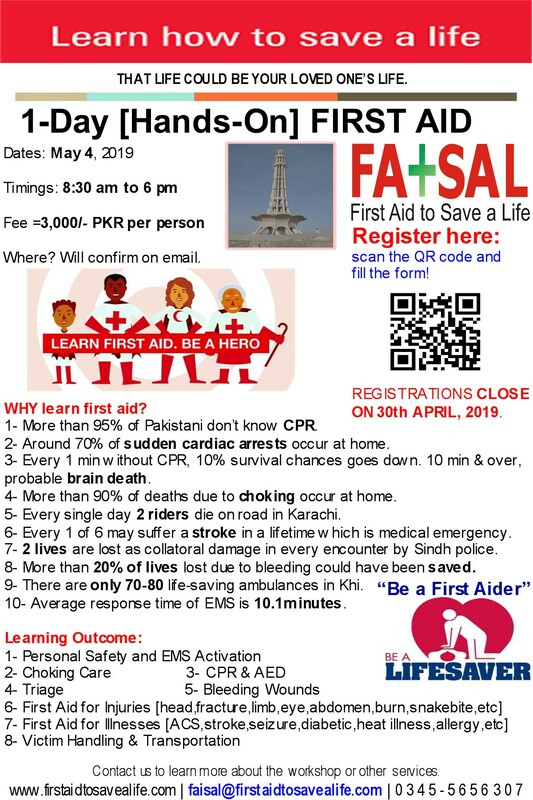 This entry was posted in First Aid CPR and AED and tagged ambulance, Ambulance First, Azad Kashmir, Balochistan, Cause, Emergency Vehicles First, FATA, FRIENDS FOR LIFE, GB, Give a way, Give Way to Ambulance, Give way to emergency vehicles, https://pehlayzindagi.pk, https://pehlayzindagi.pk/about.php, ICRC Pakistan, KPK, Lets make a pledge, Make a Pledge, no penalty for giving way to ambulance, no red for ambulance, our obligation towards ambulances, our responsibility when we see ambulance, Pakistan Red Crescent Society, Pakistan Red Crescent Society (PRCS), patient recovery, patient transportation, Pehlay Haq Zindagi Ka, Pehlay Haq Zindagi Ka Hai, Pehlay Zindagi, PehlayZindagi, pehlayzindagi.pk, Pledge, Pledge Now, PRCS, Punjab, RastaDein, respecting others life, right of way for ambulances, right of way for emergency vehicles, road rules, Sab sa Pehlay Zindagi, Sindh, Social Cause, Social causes in Pakistan, you can cross red signal to give way to ambulance. Bookmark the permalink.